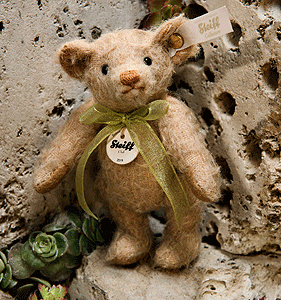 Renew your existing Steiff Club membership Here! (UK Membership only). 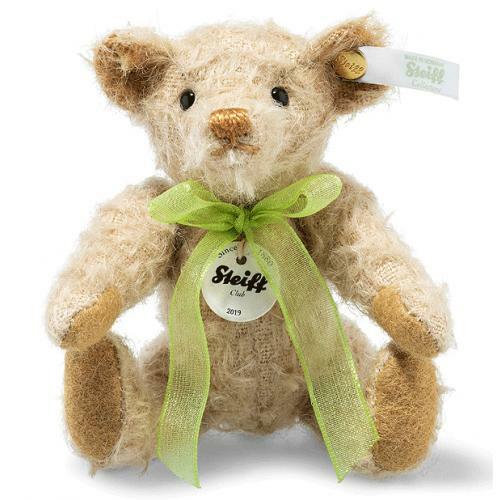 Another 12 months mombership includes: Exclusive club editions, a free Steiff miniature teddy bear, invitation to club events, receive the Steiff club magazine, get the latest product information, membership includes free admission to the Steiff museum. 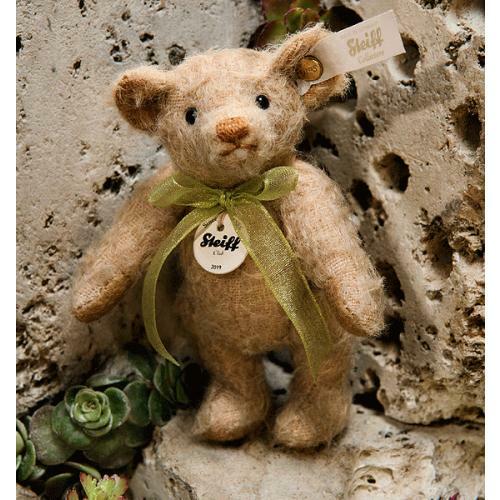 Your club gift for 2019, is a lovely 11cm, fully jointed bear in high quality, light beige mohair, with paw pads in brown / beige felt. A light green voile bow is featured, like the other club editions for 2019. The production run is limited for the 2019 year.